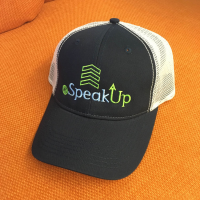 SpeakUp Trucker Hat — $25.00 ea. SpeakUp with pride in this navy blue, embroidered trucker hat with velcro adjustment! 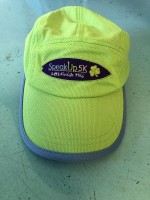 SpeakUp5k Race Hat — $5.00 ea. SpeakUp comfortably in this kiwi green race hat by HeadSweats. 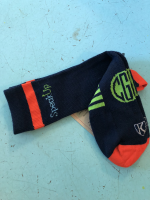 SpeakUp Technical Socks — $15.00 ea. SpeakUp with these cozy socks by King Technical Apparel. This is the top of the line performance sock. It boasts compression, moisture wicking technology, and is thoughtfully comprised of a mesh weave. 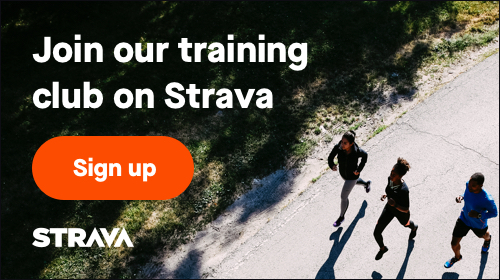 Approved by athletes and weekend warriors alike! 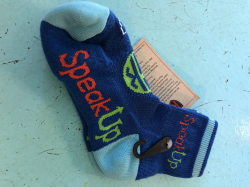 SpeakUp Cycling Socks — $8.00 ea. Your feet can feel the CKG love with these custom SpeakUp socks. Made by King Technical Apparel, these socks are moisture wicking and approved by professional cyclists and weekend warriors alike. Wild Thing Orange Tee — $5.00 ea. In Cameron's own handwriting and taken from a page in one of her journals, this perfect orange tee sends the message that inside all of us is something very valuable and so important!! Quiet, sad or distant, we all just want to be loved, accepted and to feel good! Unisex fit. Madison and Emily are wearing a size Medium. Small is a good choice for a 10-12 year old child. Medium is comparable to a Women's 4-6. Most teen girls like the over sized Medium for a looser fit. Hope that "generalized" description helps you decide what's best for you. And no worries, we are happy to make exchanges. You Are Worth it All Tee — $5.00 ea. In Cameron's own handwriting and taken from one of the many notes she would write to herself, this fun green is a great message to share with the world!! Someone today may just need to see that. Unisex fit. To help you with sizes, Parrish is wearing an XL Shirt and Emily is wearing a Medium. Small is a good choice for a 10-12 year old child. Medium is comparable to a Women's 4-6. Most of the teen girls like the over sized Medium for a looser fit. Hope that "generalized" description helps you decide what's best for you. A Smooth Sea Tank — $5.00 ea. In Cameron's own handwriting and taken from a page in her journal; just one of the many quotes that gave her Hope. 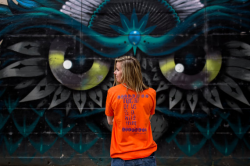 Cameron knew that navigating those dark and difficult seasons would eventually make her stronger. This cute tank is a gentle reminder to us and others who see it. These tanks are unisex and seem to run a little bit on the large side. Both Emily and Madison are wearing a size Small. 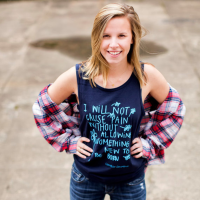 I Will Not Cause Pain Tank — $5.00 ea. Sometimes our deepest grief can be an avenue to a deeper relationship with God and a stronger passion for purpose. Sometimes gifts can come out of seasons of grief. 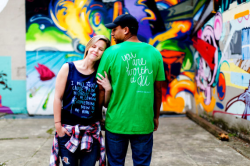 Cameron believed that; which is why Isaiah 66:9 was such a meaningful passage to her. The tanks are unisex and tend to run a little on the large side. Both Madison and Emily are wearing a size Small.